Want a tasty snack for your next beer tasting or any time? 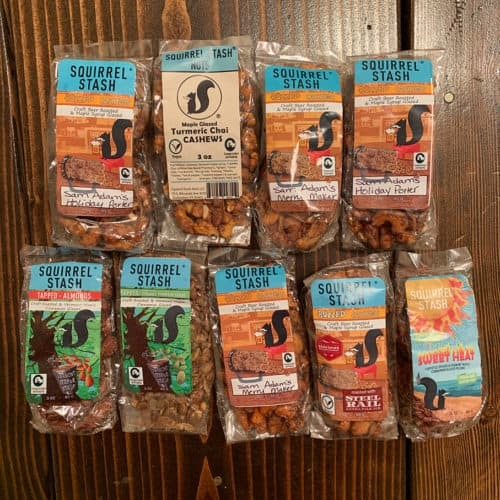 Check out Squirrel Stash Nuts, including their Buzzed Craft Beer Roasted Cashews. When you need a snack to go with your beer, some roasted nuts are the perfect option. They’re packed full of protein, healthy fat, and they taste great. And they’re even better in the various varieties Squirrel Stash Nuts has to offer, roasted with craft beer. 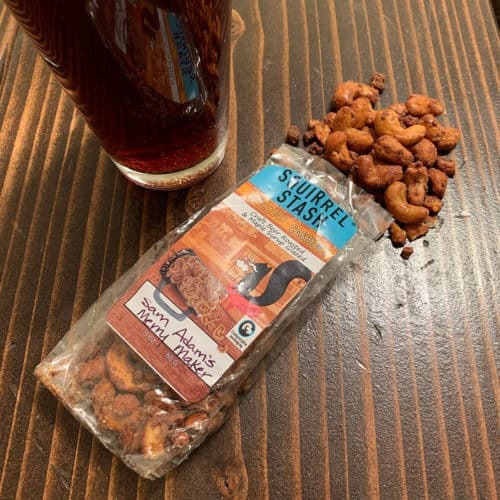 Buzzed Craft Beer Roasted Cashews are made by blending Squirrel Stash maple cinnamon glaze with craft beer to create a sweet and tasty treat. The beer imparts a unique flavor and the brews they use change frequently, so there’s always something new to try. I had both the Sam Adams Holiday Porter and Merry Maker roasted cashews and there’s a subtle difference, with porter imparting a light chocolatey sweetness to the Merry Maker’s lighter caramel tone. In addition to craft beer roasted cashews, Squirrel Stash offers a number of other fun flavor options. These include Turmeric Chai, Sweet Heat, along with almonds, pumpkin seeds, and more. Squirrel Stash nuts are packed in compostable bags, so you can enjoy your snack without guilt. Please throw the wrapper in the proper place. Nuts are a great addition to munch on at your next beer tasting or any time you get hungry. Squirrel Stash Nuts took our favorite beverage and created a unique snack using it. Head over to the Squirrel Stash Nuts website and check out all the varieties they have to offer. They’re available Amazon too.